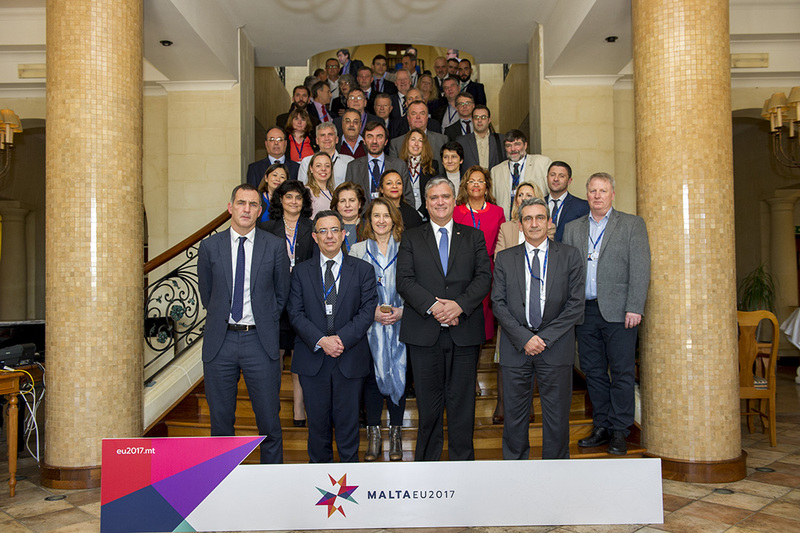 CPMR member regions have given their full backing to the CPMR’s initiative to hold a ‘Reflection’ on the Future of Europe. The CPMR presented its proposal for the Reflection during its Political Bureau, held on the island of Gozo, Malta on 10 March, at the kind invitation of Anton Refalo, Minister of Gozo. 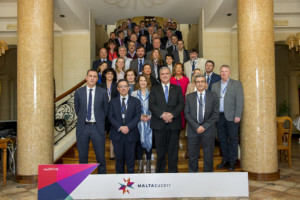 The Reflection, which was unanimously approved by Regions at the meeting, will aim to identify the vision and priorities of peripheral and maritime regions for the ‘Future of Europe’. A discussion on the EU Budget was held in unison with the meeting’s Future of Europe debate, with member regions stressing that any conversation on Europe’s future must take the budget into account. Following these debates, the Political Bureau’s session on Cohesion policy updated member Regions on the state-of-play regarding the policy. 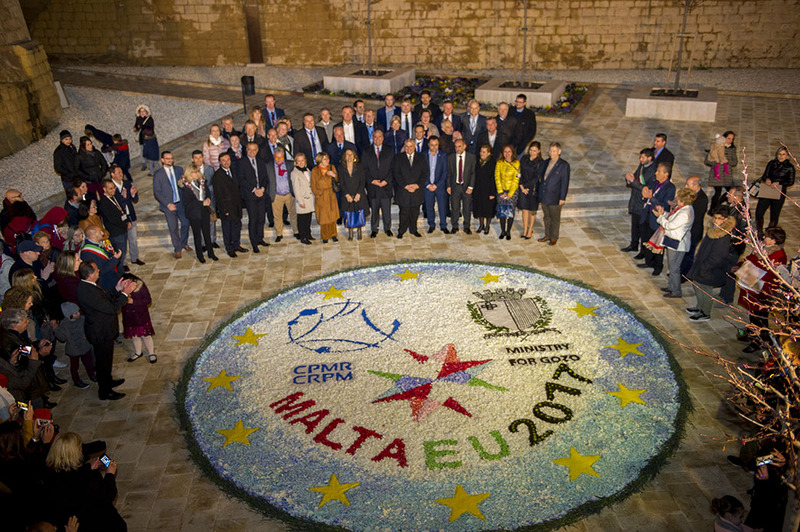 The CPMR has been working with CPMR members to develop concrete proposals on key issues for the future of post-2020 Cohesion policy. The CPMR is looking to identify the right focus for financial instruments in Cohesion policy, simplifying the policy and improving the role of regions in the governance on the policy. It also wants to establish clear boundaries with the European Fund for Strategic Investment (EFSI). Furthermore, it is developing proposals on the European Social Fund (ESF) and European Territorial Cooperation (Interreg). It is also working to identify the right relationship between Cohesion and the European semester and ensuring that the specific challenges of island, outermost and northern sparsely populated regions are addressed. The debate on Accessibility provided members with an update on the CPMR’s work in relation to the EU’s Connecting Europe Facility (CEF) and Motorways of the Sea (MoS) policies. Regarding the CEF, the CPMR continues to call for the EU’s remaining Connecting Europe Facility (CEF) funding to be allocated to projects that improve accessibility for Europe’s peripheral regions and islands. This should be reflected in the post-2020 CEF Regulation, and the CPMR adopted principles to be introduced in relation to this. The CPMR also presented its ideas on how the MoS – the maritime component of the EU’s Trans-European Transport Network (TEN-T) programme – could improve accessibility for Europe’s peripheral regions and islands. These include proposals to expand the geographical and strategic dimensions of the European Commission’s Detailed Implementation Plan, and to change the MoS implemention during the period up to 2021. Regarding Maritime Affairs, member regions were advised that the coming months will be decisive for the future of maritime Europe. 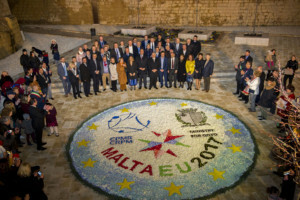 EU Member States have begun discussions on a ministerial declaration that will be adopted on 20th April 2017 in Malta. This declaration will provide a political basis for EU maritime policies in the future. Regions approved a policy position calling on the EU to use these opportunities in order to place the seas and oceans at the heart of its future; act in partnership with the regions to invest effectively in the maritime economy; and further develop thematic European maritime policies. 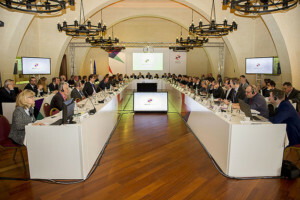 Along with the discussion on the three core CPMR policy areas, the meeting also offered regions the chance to debate the topic of Marco regions. The CPMR presented its Position on EU Strategies with a Macro-regional Dimension, which contains a number of recommendations, including the establishment of a ‘Strategies with a macro-regional dimension’ Task Force among the relevant Directorates General within the European Commission. The position was approved. Finally, the debate on Migration confirmed that regions are currently leading the way for effective reception and integration policies, as well as solidarity. The discussion reiterated the prominent role that regions can play as part of a multilevel European solution in Europe’s ongoing migration crisis, particularly in the context of the emerging future of Europe debate. You can view all the reports from the CPMR Political Bureau, help on March 10, 2017, on our website.